Fall is in the air and we are ready for some FUN! It's our favorite time of year, as the weather is finally changing from the miserable 90-100 degree Tennessee summer weather, to the 70-80 degree FALL weather. The leaves are starting to change colors, football is on TV, pumpkins are being carved, and tractors pulling hay wagons and more! 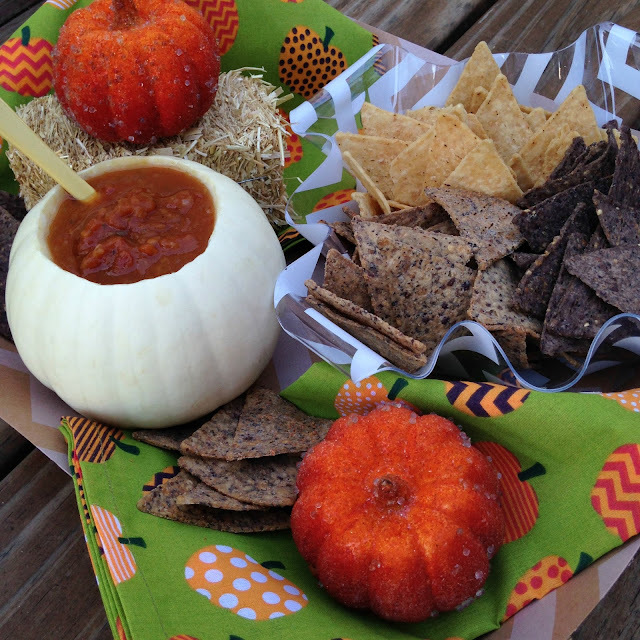 With Fall in mind, I wanted to do something FUN with Beanfields Bean & Rice Chips! They're not only FLAVORFUL, BUT they are FULL of FIBER AND PROTEIN! Even if you don't like beans, you'll be surprised at the delicious flavor. We all know beans are a nutritious food group. Beanfields have made this so good, that even non-bean fans will love them. In fact, I'm not crazy about beans, but I loved them and ate the whole bag! 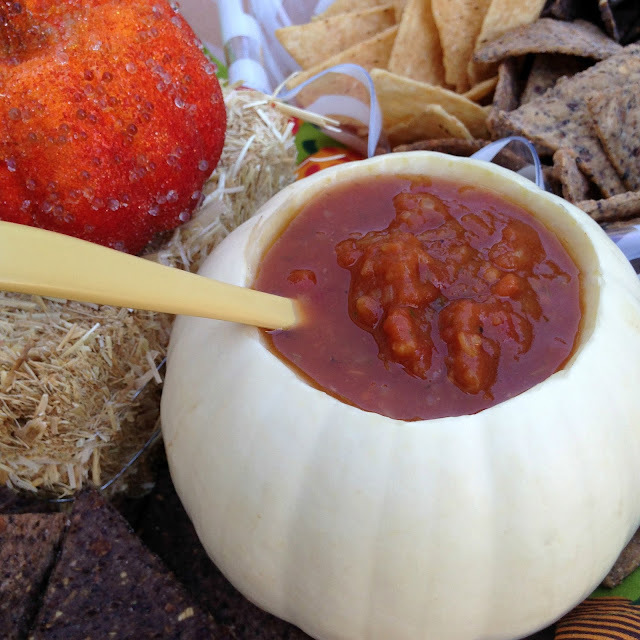 With it being Fall, of course I incorporated pumpkins, but who knew there was PUMPKIN SALSA! Finding pumpkin salsa wasn't easy, but thanks to a dear friend for giving me a heads up that Fresh Market had some! My friends, there's no way I was going to make my own pumpkin salsa...no way (insert visual: 4 year old hanging on my leg while Jack and his sister are fighting and pumpkin puree starts flying everywhere out of the food processor). PUMPKIN SALSA?? Yes, that's what I said. 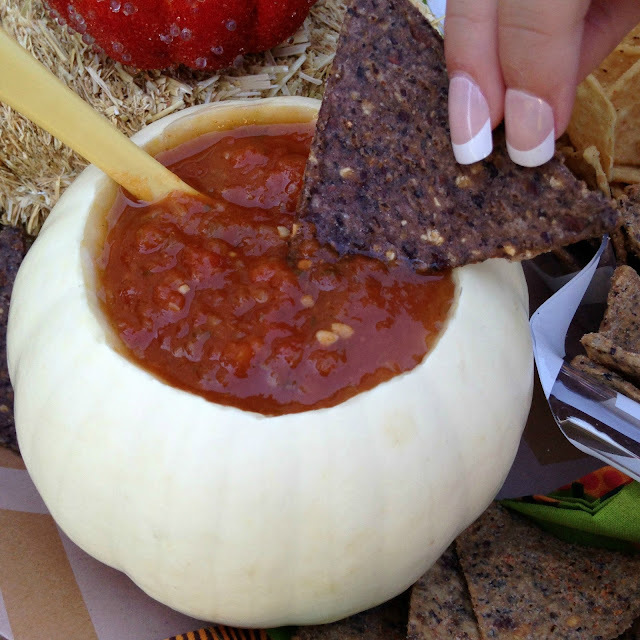 After finding the salsa, I needed something super cute to pour it in. BEANFIELDS BEAN & RICE CHIPS. 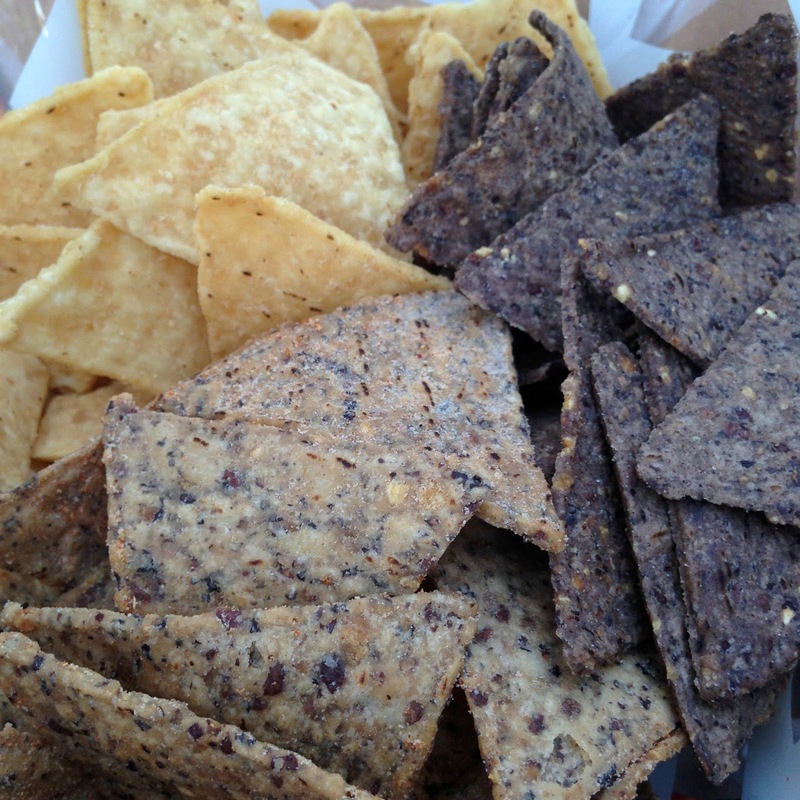 I love the colors and texture of Beanfields Chips! football outside and celebrate Jack's little brother's birthday next week and so on! This was so much FUN - ready to invite friends and family over to enjoy! we munched on it after I took a few snapshots to share with all of you. 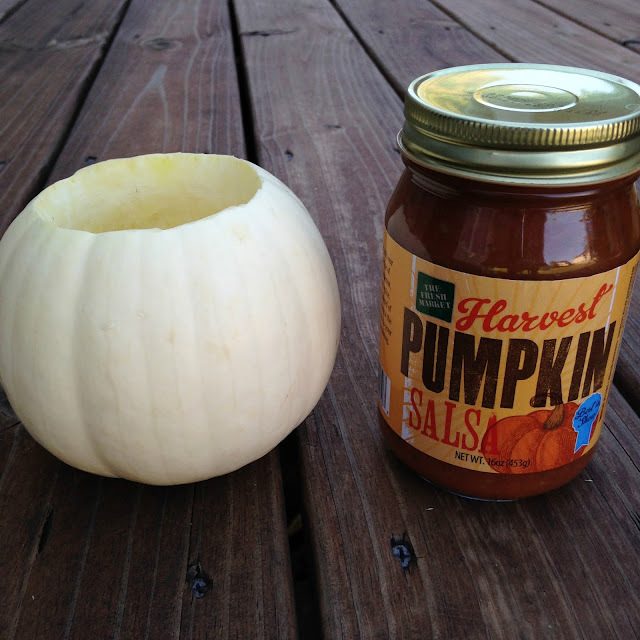 Have fun making pumpkins a part of your decor this year. So many different sizes, colors and shapes to use. With it also being NON-GMO month, I appreciate any brand going the extra mile to be make quality organic products. Beanfields Bean & Rice Chips is not only NON-GMO Certified, but it's also, certified gluten-free, allergy friendly, vegan and kosher! ANNDDD, it has 150% MORE PROTEIN than other chips as well as 250% MORE FIBER. THAT IS AMAZINGGGG! For more on Beanfields Bean & Rice Chips, please visit, Beanfields Snacks. 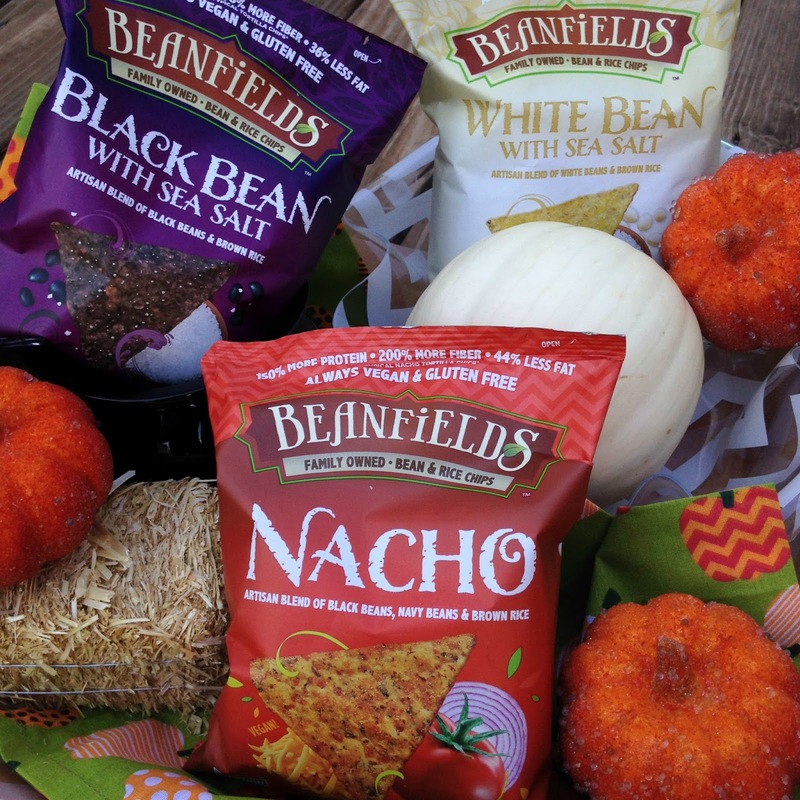 And where can you find Beanfields Chips - check out the store locator or you can order online! **This is a sponsored post with Beanfields Snacks. I have receive compensation and/or product from Beanfields. All opinions are my own and I only work with brands that my family and I truly enjoy. Wow what a creative idea and looks stunning as well. Will definitely give this a try myself, not sure if I'll be able to find all the ingredients though. Love your comical style of writing just by the way.